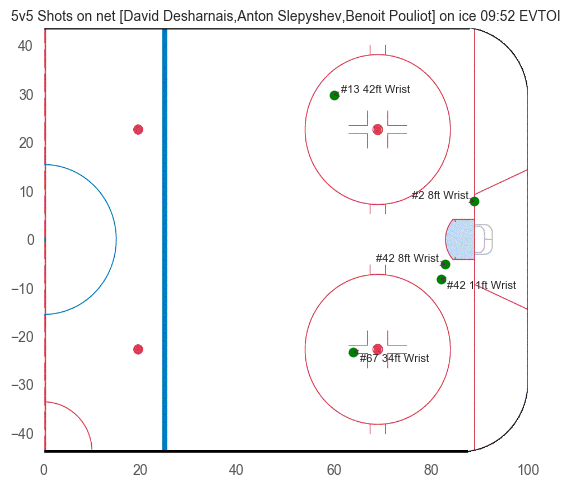 A dead even game through two, then the Ducks started to push back after they went down 2-1, then pushed back HARD after they went down 3-1. 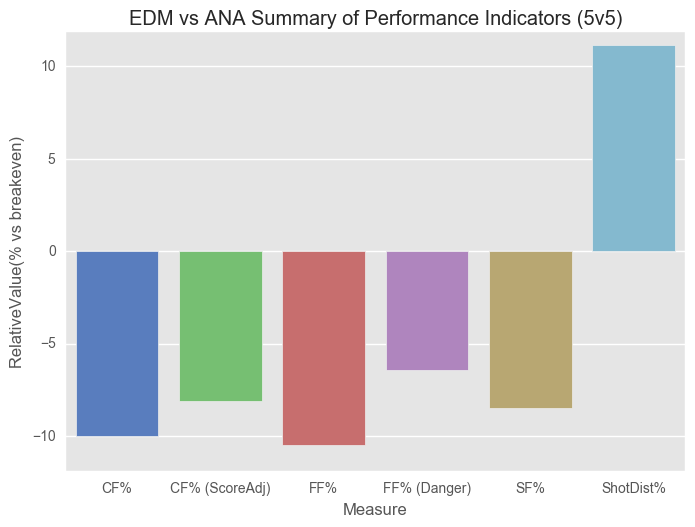 That’s not surprising – this is the essence of score effects. Micah Blake McCurdy (who knows a thing or two about score effects) has shown that these are heavily dependent on venue – it’s the home team that pushes hardest when they are down. 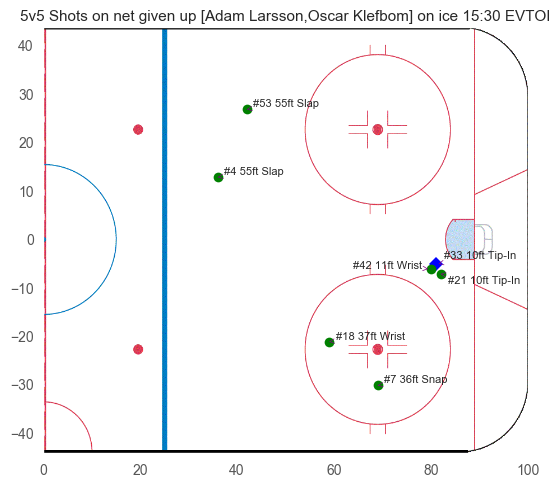 Even so, that was not fun, it felt like the Oilers hardly left their own zone the entire third period (luckily when they did, they scored) … but let’s not do that again, shall we! 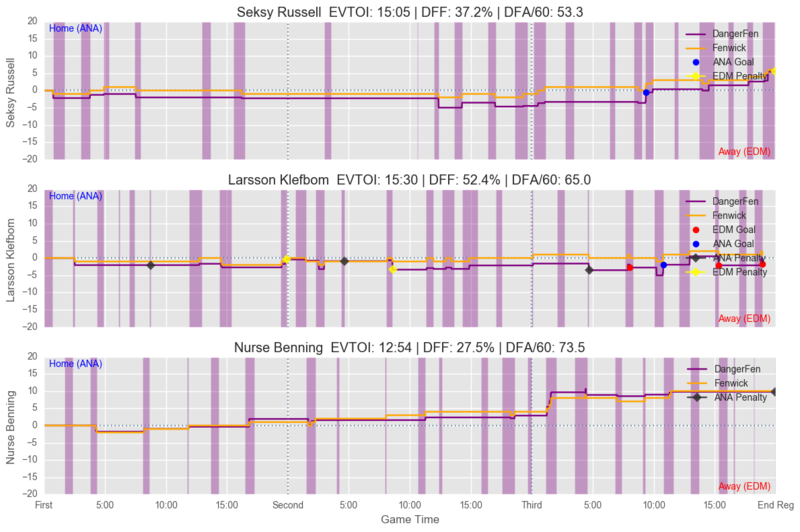 Larsson and Letestu – scoring Gods! Who saw that coming? 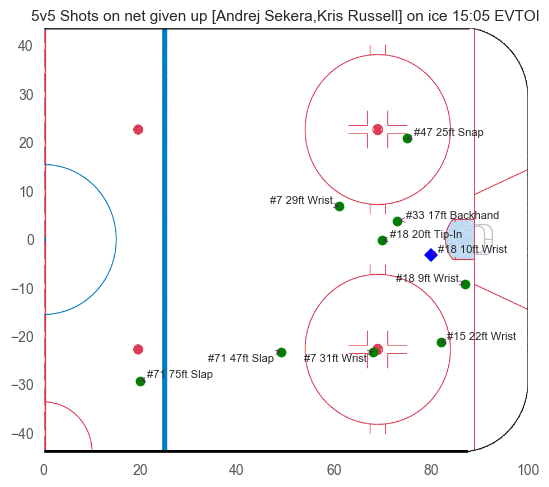 The Sekera Russell pair has struggled most games this playoffs. 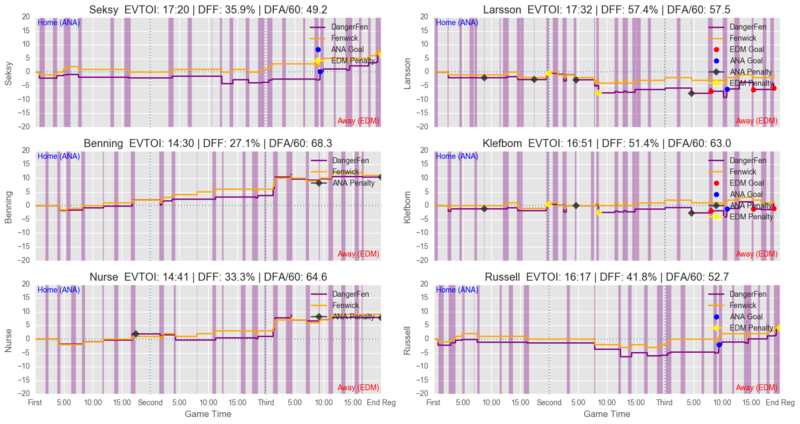 I’ve seen some people theorize that the playoff format really lets teams scout and target Russell’s weaknesses (he really really can’t move the puck), and that’s why he struggles in the playoffs, as he also did last year with Dallas. Maybe. 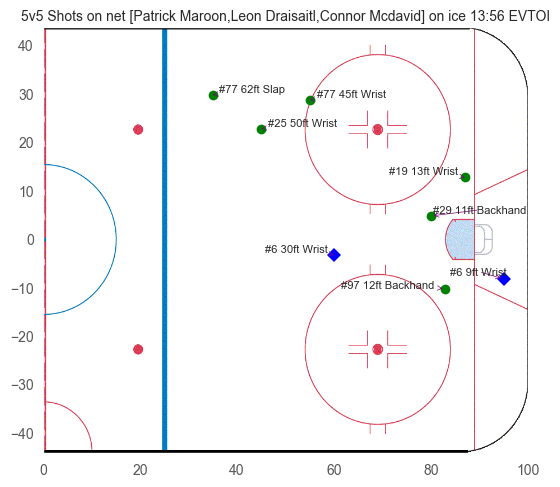 I think McDavid has the flu that’s been going around. Yes, he’s dragging a couple of *ucks with him everywhere he goes, but to my eyes he still doesn’t have his usual burst. Looks like Drai is recovered though! 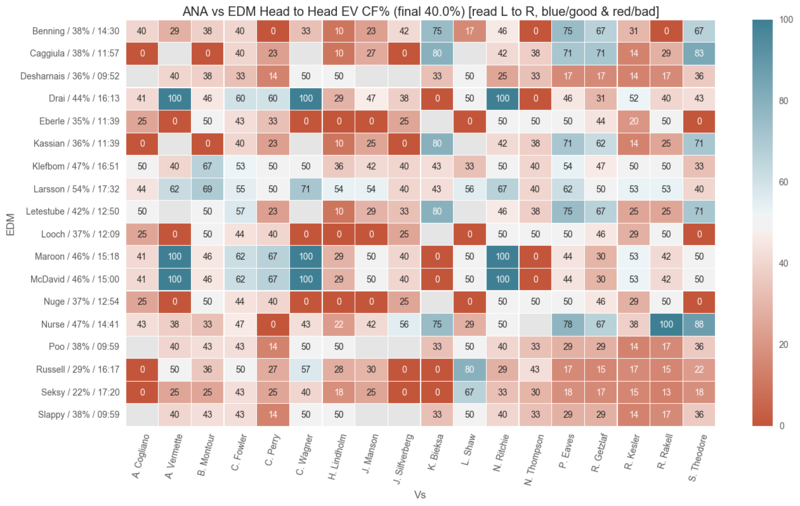 This is still going to be a brutal series, and the Ducks got away with a helluva a lot of dirty sh*t, but they did get called enough that maybe they’ll tone it down a bit and try and play hockey (at which the Oilers are better). 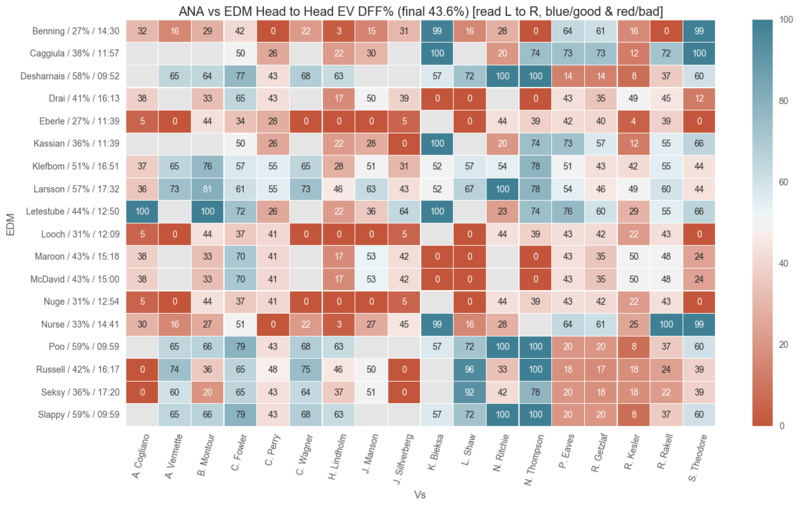 Crystal ball: if this plays out the way most series do, the Ducks will be desperate in Game 2 and the Oilers will be comfortable (having taken back home ice advantage), and it will likely be a commanding win for the Ducks. That’s usually how these things go. 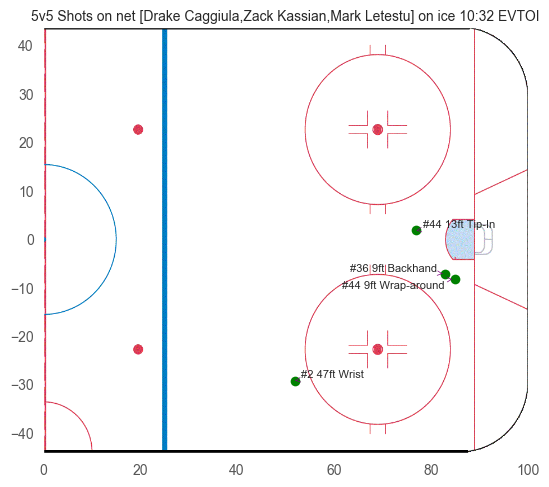 Who Won the 5v5 Shot Battle? 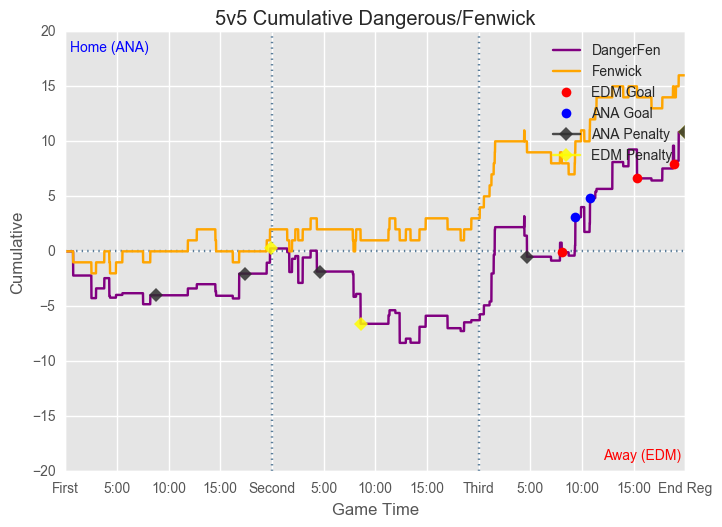 Comparing raw Corsi with DangerousFenwick: look for big discrepancies one way or the other. 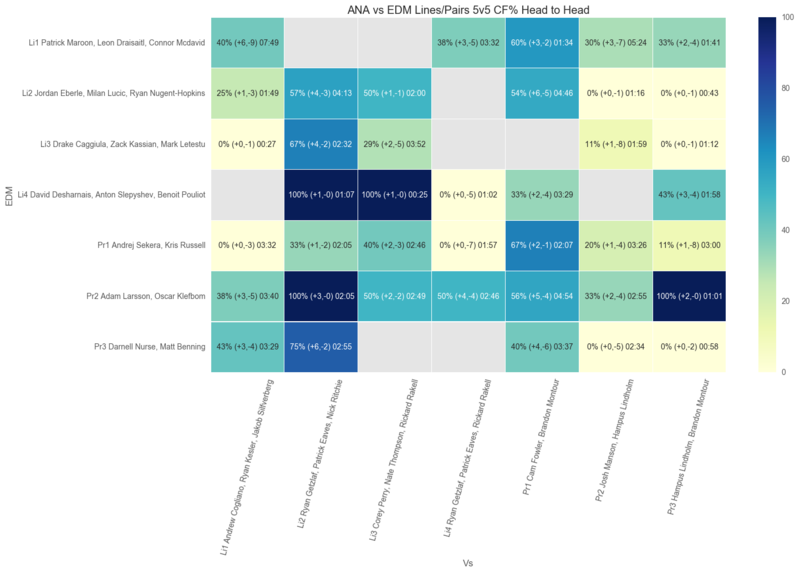 Forwards are sorted by decreasing CF%. 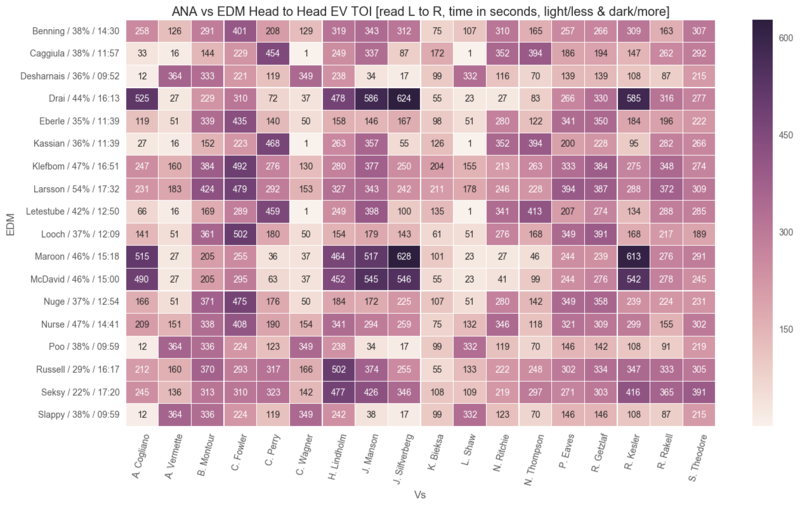 Defensemen and pairs sorted by increasing DFA60. 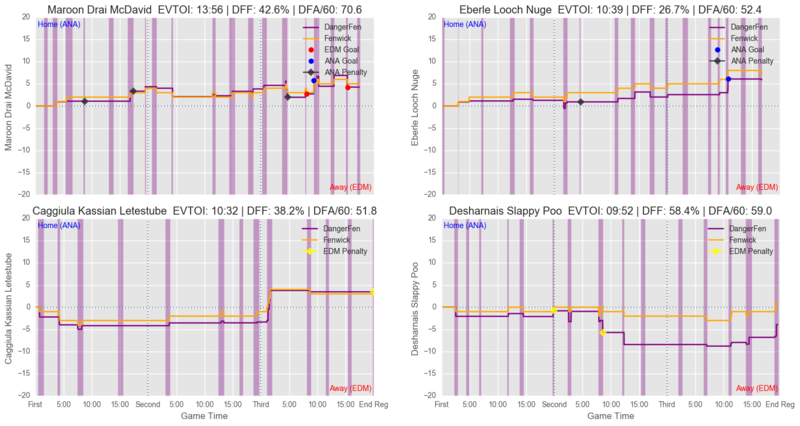 Forward lines by decreasing DFF%. 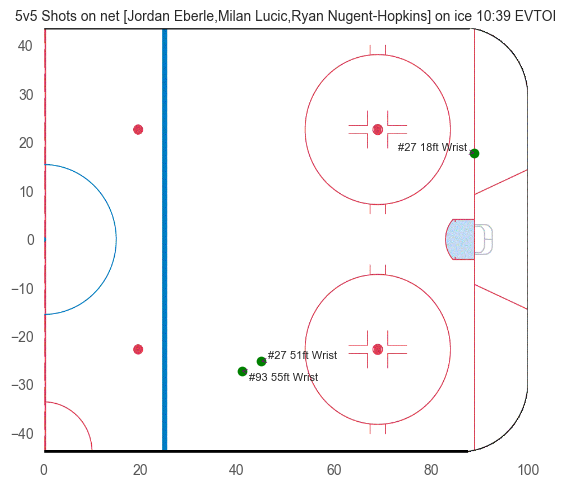 Positions are as listed by the NHL roster page, not necessarily where they played.